A podcast about lifestyle and learning. Looking at topics impacting millennials, by learning how to be better versions of ourselves to become who we want to be! 2.1 Introduction to Season 2! New Years Tag!! HAPPY NEW YEARS!! 1.7 - Season 2 and Thank you’s! 1.6 - Addicted to my Phone?! Am I addicted to my phone?! Are you addicted to your phone?! Recently I had a realisation that I probably am for one reason or another. So have a listen while I work it out, there’s a challenge at the end as well so let me know what you think! 1.5 - Get out your comfort zone! Hey guys! Today we’re talking about ways to get out of your comfort zone! Why don’t you got for it! Make it happen and take action! A new little update for you guys, my favourite folks! Hey guys! A little bonus episode about my life enjoy! Hey Guys! This episode is all about my goals; how I came up with them and how I’m going to reach them! I would love to get your advice and here about your own goals! 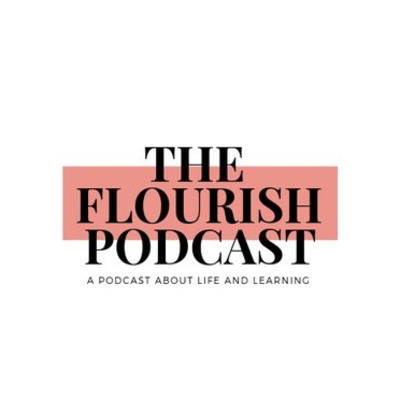 As always connect with me on @theflourishpodcast and stay tuned for next weeks episode! 1.1 - An Introduction! Welcome to Flourish!